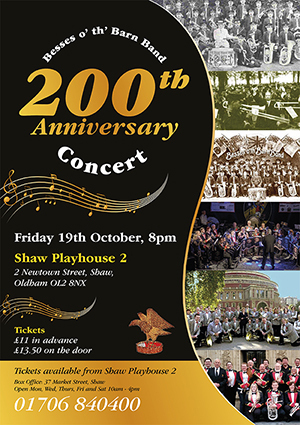 Established in 1818, we are one of the oldest brass bands in the world. 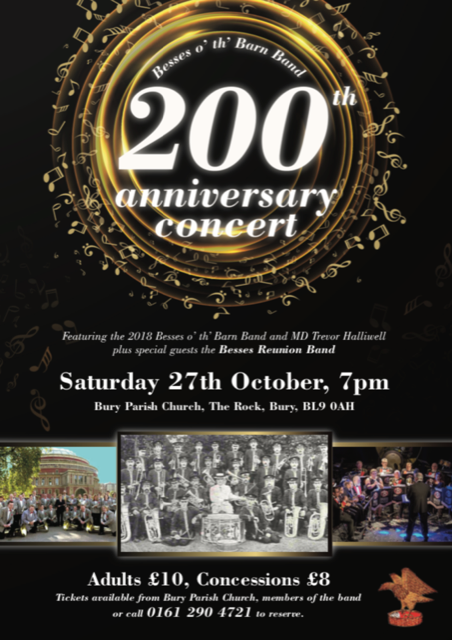 Besses are committed to providing high quality, entertaining concerts for audiences local to us in north Manchester (and further afield), whilst maintaining our world-wide reputation and being true to the history and legacy of such an esteemed institution. Besses has friends all over the world and we are always keen to make more. So find out more About Besses, see where we are next performing Live, or maybe you have a memory of Besses you want to Contact us about? We hope you enjoy your visit, and we'll hopefully see you again soon! Do you have pictures or videos of the band? Drop us a line if you'd be happy to let us put them up on here.